Well being a secret princess myself, as soon as I learned that Fun Lacquer were reissuing their limited edition Disney Princess Collection I just had to have them having missed out the previous year! They are all beautiful subtle holo polishes and I have two here today to show you that I think are just perfect for autumn! The first is Merida ( named after the feisty heroine in Brave). Now I never thought I would be able to wear brown polish but this has proved me wrong. 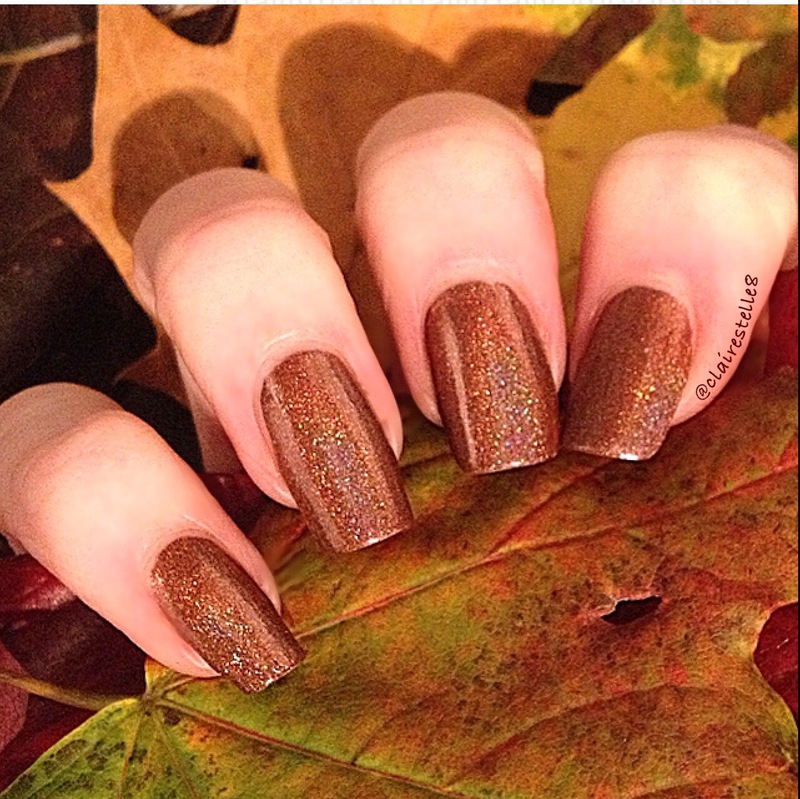 It’s an absolutely glorious shade with a beautiful subtle holo running through it with shimmers of copper and gold. I couldn’t resist a bit of autumnal matchy matchy when out for a walk! The second is another no no shade for me usually- green! Well yet again I absolutely loved this! This is Tiana ( named after the heroine from the Princess and the Frog). 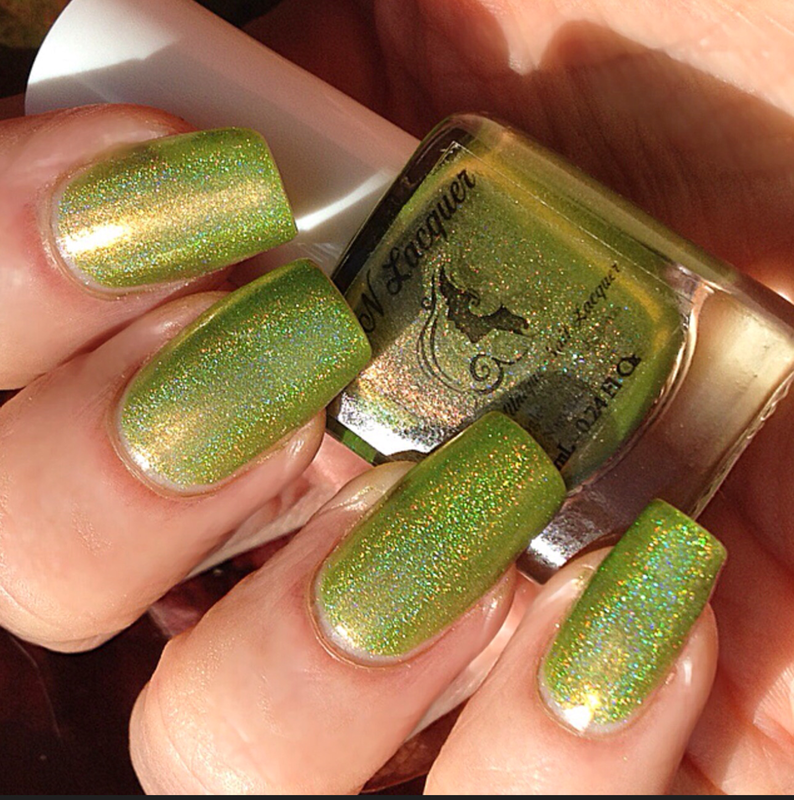 It positively glows in the sunshine and has a stunning gold shimmer through it! I surprised myself by actually loving it!